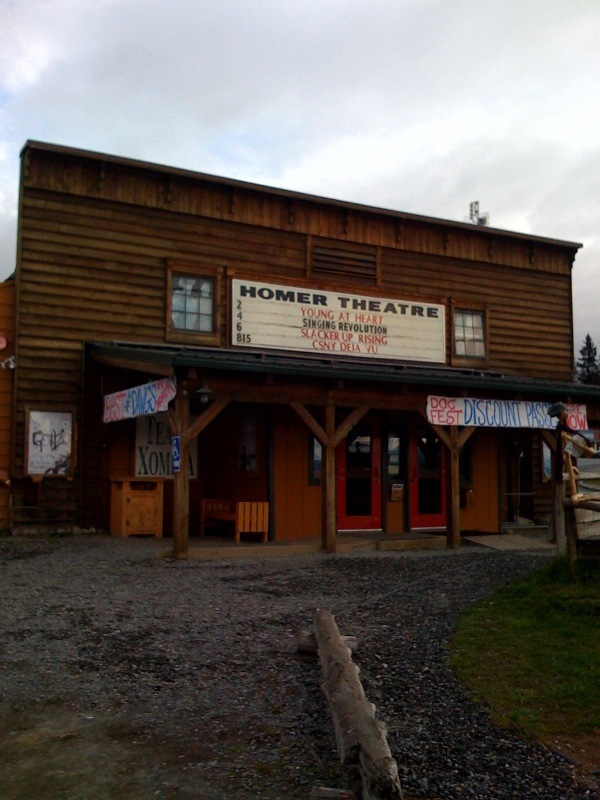 Well, if you get completely rained out while you're here in Homer, you can always go to the Homer Theater to check out a movie. As you can see it's just a little on the small side. As I walked the town last night I came by the theater, and wow, they do pack in quite a crowd. I'm not a real movie goer, but unless there's been a remake of Young At Heart, that movie might be a tad bit old. I have no idea what the other listings are, and sorry but no, I don't know what a Dog Fest Discount Pass is either.